This is Lord Sananda speaking. Well, we have had some difficulties this evening once again. I hate to tell you ~ it is going to continue, so we have to make sure ahead of time that the grounding is really necessary. I am going to impress upon Christine to prepare herself ahead of time and the energies that are happening ~ with her computer and with each of you as the energies are becoming so strong that this can totally happen for everyone. We are working with the issues and we thank you for all your patience in bringing forth this frequency deeply. This week is another parable week. Last week there were some frequencies changing and within those frequencies there were some elements that were fully not being activated in certain ways or being overly activated. Each of you are challenging yourself in many different ways and within these challenges, the event and creation of the essences that are happening for you are fully coming into bringing forth this frequency to allow this essence of your impurities to be fully activated in a different way than they ever have before. We are coming across a New Moon this week and within this New Moon, there is going to be some activations that you have been waiting to occur. Within the activations that are elements that you have been working with and frequencies to be coming into the aspects of your Being that you have been asking for but were not quite ready. You have know that you haven’t been quite ready but you are fully bringing for the essence of frequency. Within this there are elements that are going to surprise you. There are going to be many surprises within this month. There will be elements in the frequency that is more available to you than they ever have at any other time. You are being prepared in the frequency of the planet and there are great challenges you have come across. We feel that the challenges are now going to get a little bit easier for you. As this happens, you will start to see the vibration that you are changing right within you. Some of you are already feeling this and within this essence of continuality, there is a change happening. Within the changes there are many aspects being activated in a different way than they ever have been at any other time zone. It is of your time ~ of your Essence and the frequency that the impurities that you have been dealing with previously have now been removed. You may find that there are other impurities that will arise and within these other impurities, there will be an essence of Beingness within you of a continuation of your life in a different vibration that it has been in any other aspect. The blessing that is happening for you right now is the continuation of your pathway in the way you would like it to be. There is going to be more frequencies in those essences and within that allowability to fully create yourself in a different way than you have in any other lifetime. You are now fully allowing yourself to be in the presence of the totality of your multi-dimensional body and within that body there are frequencies within you that are allowing you to accept your Divinity in a different than it ever has before. So Accept this ~ accept what is happening to you because the changes in your energetics are going to be increased so it is very important that what we are doing here in this group, is allowing this frequency to be fully incorporated within you. It is a direct result of what we are experiencing with the electronics this evening as the Skype is not working very well. So in those energetics I want you to have a balancing effect. Let’s allow the frequency of the balancing energies to come together in a different way and within those elements, you will start to see fluctuation within you that is quite different. We are in a time of change and within the change right now the frequencies that are going on with this call in this moment are very representative of what you are going to be experiencing in this month. There are times that you need to be fully balanced and within that balancing act, allow the frequencies to fully come within you. We are working deeply with each of you to assist you in this process. So what is it that this week brings to us. Well, I am going to tell you after the Resurrection and after last week ~ the call that Christine is facilitating on Wednesday evenings is creating a shift upon the Planet. You may not understand this is possible but it is very true. There is more of a continuity between the Spiritual Hierarchy and the Lightworkers to assist the planet more deeply than it ever has before. So within this assistance, you start to see the frequencies of the changes occurring within you and when these changes occur, you shall start to see the element of Love that is coming through ~ bringing forth those elements that is within your Essence is a continuation of your Light. So as this happens we need to be balanced and this is a direct result of what is happening this evening. I know the people on the phone do not feel this but within this fluctuation that is happening, there needs to be a balancing act. Within that balancing act is what is occurring. The individuals that were on the Skype wave are still within the call ~ you are still on that frequency ~ you just are not in that aspect but your Spirits are very much connected to all of us and this is exactly what is happening with each of us to bring forth the continuality in the balancing act that is necessary. This New Moon is going to be a fluctuation of energy that you never experienced before in a physical body but your Spirit is very aware of it. Within this fluctuation it is going to assist you more deeply than it ever has before. We are in the prepare-ed state right now; we are assisting you to receive the frequency of the energies in a quite different manner than you ever have before. Why? Because you are ready ~ you are ready because you have also shifted yourself into new paradigms. Each of you is experiencing life in a different manner and if you don’t feel that you have, you truly are, you just are not actualizing it in a physical way. So with all of this being brought forth this evening, let’s bring in that balancing energy. Tonight we are going to ask for the Ray of Green for Harmony to be fully within each of you and each of us. We want to center this energy to balance out the frequencies that are happening right now because this is going to assist you in this week to come. Take a deep breath and allow yourself to breathe in the crystalline colors and a mixture of Green within the fluctuation of that element. This is going to assist your whole body. Let’s start in the Earth Star and breathe in the colors as it spins in a clockwise manner, coming up your limbs, into your Root, up into your Sacral, into your Solar Plexus, continuing going upwards until it reaches your Crown and your Soul Star. You are spinning the Crystalline light with speckles of the Green, like droplets of Green Ray, fully within that area. Breathe deeply and allow that to be the balancing act. Let’s balance these energies as we are preparing for the NEW YOU. You are fully going to be actualizing yourself in a different way than you ever have before. So let’s just be in the receiving mode right now and within that mode, take a deep breath as you feel the Essence of the New Being that you are, that new Being coming within you. Allowing it to fully integrate ~ aspects of yourself that possibly may have been lost or just forgotten about. Now you are remembering these particles of yourself to fully come within your body. Allow that to occur for you now ~ breathing deeply ~ breathing deeply. So now we are ready to receive the energies of the Cosmic Divine Mother and Father God, the Cosmic Great Central Sun. Thank you for your patience with everything that is happening on the line this evening. It is so representative of how we truly need to bring in calmness within each moment. Breathe deeply…Blessings and Namaste ! I AM the Cosmic Great Central Sun at your service. I AM pleased to be here in this moment. We bring forth these frequencies of Light to assist you to ground the elements that you already been receiving. Allow yourself to breathe into this ~ allow yourself to feel the frequency within you deeply, deeply. I want you to blend within your Solar Plexus, your Heart, and your Thymus. Allow the frequency that has been brought into you of the Crystalline Light and the sparkles of Green to just balance out those energies. What they are going to do is bring forth the frequencies to assist you in bringing in the higher frequencies that are part of your Essence that has been waiting to arrive. You are in theArrivalState. There are more elements that are coming into your consciousness than you ever thought possible. We bring these elements to you right now and breathe deeply into that element. Breathe deeply into the Essence and the Continuity of your life on this Earth in a different manner that you ever thought possible. This is what is occurring. We open up to you within your Heart, your Thymus, and your Solar Plexus. These three activations to be fully within you to allow yourself to center upon a new awareness ~ not just awareness as this is not a consciousness. It is a physicality of fully being integrated in your physical being in a different way than you ever thought possible. Allow your essence to be fully activated, of the spark that you are and as we move through these frequencies of Light, we move through the capability of going through the challenges and the doorways of the activations to help to create the Essence, the Purity, and the Beauty. Feel each of these elements to be within you right now. We already activated you previously with your Rebirth, with your Resurrection and now it is an Embracement ~ You will embrace the New You. The Rebirthing has already occurred. Now you are here ~ what do you do with it. Now is the time for you to Accept this Divinity that is occurring for you and it is quite different for each of you. Not everyone will feel it in the same way ~ as it depends upon the elements of change that are necessary. These changes are necessary that will allow the frequency to be forth within your Essence ~ within your Physical, within your Emotional, within your Mental, within all aspects and as we blend in the Spiritual Body allow that frequency to be fully within. Breathe deeply ~ breathe deeply ~ Allow this. It is like a cloaking that you have forgotten about. The Essence and the Purity of your existence allowing yourself to fully create this outer layer that is not a protection, it is an embracement, it is an integration, it is an aspect of your love and creation that you are fully within the Beingness within you to allow the Essence of your Light to be activated in a different way than it ever has before. Breathe through that…breathe through the essence that you are and it now integrates through your Spiritual, into your Mental, into your Emotional, into your Etheric, into your Physical as it enters into the One Being that you are and it centers upon your Heart. 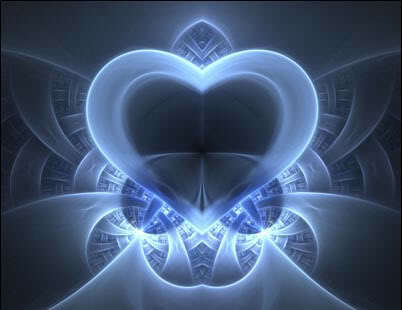 You feel your Heart differently; you may even feel some movements in the Heart area or in your Solar Plexus. There is a warmth and continuous happening within you as this process of your Divinity occurs. You are now seeing the sparks of Light that are you. Embrace this now ~ breathe through it as it comes to you and brings forth those elements of Love and continuity that you are. Breathe through it…embrace it…acknowledge it…breathe deeply…breathe …As you do that now, it moves down into your lower energies and center it into your Earth Star. Ground that energy. It is not something to be in the higher realms ~ this is your Essence that is now being more fully grounded within your Being. Within this aspect you may feel some fluctuations within your physical, emotional or mental body. You may have some feelings and some physical symptoms. You may feel emotions and some thoughts coming in and out. Allow that to just to be accepted within you. Allow yourself to just now it is OKAY ~ it is OKAY ~ I am fully integrating ~ I am feeling the Essence of my Being ~ I am allowing it to come into my Mental ~ I am allowing it to be in my Emotional ~ It is moving through my Etheric and allowing my Physical to relax. Now just relax with it. Take a deep breath and a sigh..ahhh…As you sigh, you feel this beautiful and enveloping energy that it has been on the outside of you ~ now it is going to come through you. It is come through the Mental level and relax those aspects; it’s going to come through the Emotional level and allow you to feel the pure essence of your Love and all the Etheric energies of those feelings are going to relax in to the Physical. And the Cellular Structure is now being filled up because you have been working so long to release everything. Now you are embracing it. Allow yourself to embrace this moment because it is Your Time ~ Your Essence ~ Your Purity ~ It is your acceptance. It is You ~ it is You ~ of the Spark that You Are but it is not just a spark anymore. Now it is being infiltrated more into the body and you may feel warmth through your body as this is occurring. Allow that warmth to be within you; allow yourself to just Accept. Accept the essence of the balancing that is occurring and embrace yourself. Put your arms around, across your chest, and feel that beauty that is you. Feel the Essence that is you and allow yourself to accept the New Moon that is coming forward. The New Moon that is going to bring you forth into the new paradigm ~ that new pathway that you have been asking to happen. You are the Creator and you are allowing you to be Created. In this moment you are embracing this beautiful energy and there are sparkles of all different colors of Blues, Greens, Violets, yellows,Oranges, Silvers and Golds and mixtures of all those colors. Then there are no colors and it is just floating around you ~ circling around you. There is pure essence of Light. Allow it to go all the way down your feet and into your Earth Star. Then spin it down your Earth Star allowing it to go down into the core; allowing your connection to Gaia be stronger than it ever has before. Allow yourself to feel the grounding that is imperative for you to actualize these higher frequencies. We are in a phase that if you do not allow this grounding to take hold within your physical body, then you are not going to be able to accept what is occurring. Breathe deeply ~ breathe deeply through that ~ Oh Yes, yes, you feel so beautiful. Feel the essence of beauty. Now take a deep breath and put out to each of us ~ to Mother and Father God exactly what you desire. What is it that this moon can bring to you? What is it that you are looking for ~ is it your Mental stability ~ is it your Emotional balance ~ is it physicality ~ is it your pathway opening up more fully ~ is it a residence change ~ is it financial abundance ~ what is it ~ is it more love to come to you ~ to show to you in a physical way when it is no longer necessary to be done in the Spiritual way and allow that essence to be fully within you. Breathe deeply through that as now we ask that each of you receive a special heart-centered wish within your Heart ~ within your Solar Plexus ~ within your Thymus because it needs to be all three chakras to blend together as one chakra to create this element of frequency. Breathe into that. Breathe and feel the receiving mode is coming. We ask that everyone receive the gift they are asking for ~ breathe deeply and let’s take a moment of silence. Just allow us to send you the frequency that is necessary for you to receive these gifts. Right now you are in preparation stage before the new Moon which occurs in two days. Allow the frequency of that light to be fully within you and it fully to be activated in the following three days. So we ask that this activation be fully accepted into each of your Beings right now. Within one week’s time there will be a shift and a change that happens to you. It may not be quite the full thing you are asking for but it will be a change within your Being. We ask for all the abundance angels, we ask for all the frequency of the principalities of the God Force to assist you in every manner in healing, abundance, prosperity, acceptance of your pathway and breathe forth this totality in your life that you have never felt before. Now you are grounding it ~ this is a grounding phase. We have gone through many different actualizations in the last month or two and they have been very powerful for each of you. Now let’s ground that energy. I want you to feel it in your Solar Plexus; feel it in your Strength and your Power; I want you to feel it of the Beauty that you are in the Heart in the balance of the male and the female; the yin and the yang; the God and the Goddess within. You are fully actualizing that because now you are going to be a mirror. You are going to mirror it out of you so that you can now send it out and it will be received back to you. So mirror this what you are feeling ~ what it is that you are activating and allow this activation to be fully around your body ~ a full mirror completely around you. It is only Light formations that you are receiving. Everything comes to you all for the purpose of your highest good; for your highest self; for your highest essence because now you are in a body in this essence more fully than you ever have before. Breathe deeply…breathe deeply. Now center that within you as you bring the energy back in ~ Oh, now you are so full of the Light you are full of the Essence ~ full of the completeness that you are and allow that to be fully within you…Breathe deeply…breathe deeply. We, of the Divine Mother and the Divine Father God, have one more activation for you this evening. We would like to put our arms around you of the male and the female. Feel our strength; myself as the Male ~ the strength and the courage that you need and the activation ~ Within the Female, I am the blessings of your nurturing and acceptance as the emotional balance with you. Let us come together as we bring forth the element of embracement. It is infiltration of Cosmic Energies and these Cosmic Energies are coming in many colors. They are high Platinum colors but they are Pearlescent, Blue Gold, Violet Gold,Orange, lower Blues and Yellows, Greens, Pinks, Violets, and Reds. Allow that to embrace around you. Allow that to help you with the protective measure. This is our protection we are giving to you. We walk with you. We walk with the frequency that we are and this is the energy we gave to you i9n the beginning when you separated from us into your embryotic states. Feel that essence fully around you and it is enveloping; it is integrating; it is intoxicating; it is beautiful. It is a high ~ it is a frequency but it is a grounding all at once. Breathe deeply through that essence. We of the Divine Mother and Divine Father God are so very happy to give you this. It is our blessing. We have been waiting for a very long time to bring forth this enveloping energy that is you, it is us, it is all of us together. Allow this to be your guide this week. Remember the grounding, the integration, and remember the exhilaration of the beautiful feelings of this essence. It is your essence; it is our essence; it is all of our essences together in the completeness that we are. Allow this to be your movement in this first week of May 2011. It is our blessing to be with each of you int his moment and all moments, and to share with you. As you mirror this out to others, it shall return back to you but then it will mirror out to another and they will share with another. It will be a domino affect as the mirrors of lights run through each other as we are creating the pathway for the New Earth; the pathway to create this embellishing frequency of light. We are one with you in this moment as we shall always be one in all moments. We are the Cosmic Great Central sun at your service. This is Lord Sananda once again. Just remember the grounding and the integration. This is what is going to assist you more fully. I know that many of you have been going through a tremendous amount of physical changes, emotional changes, mental changes; let’s embrace ourselves this week and allow this new frequency that is all our frequencies to be activated fully within you as it never has before.